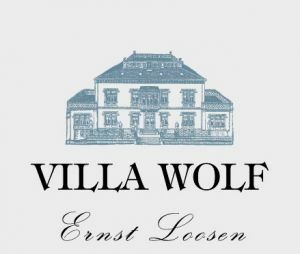 Villa Wolf Pinot Noir is warm and medium-bodied, with a firm acid structure. Its dark cherry fruit is juicy, ripe and forward, with a spicy mid-palate. Twelve months of barrique aging gives the wine a smoky depth and a nice touch of earthy tannins. This is a very grown-up Pinot Noir for the price, and an excellent wine for everyday dining. Delicate and fragrant, this reminds me of a village wine from a cool corner of Burgundy, but is softer on the finish then they normally are this young. Drink now or in 2018. Best Buy - Luscious, sun-ripened blackberries and cherries are boldly concentrated in this easy drinking but elegantly composed Pinot Noir. Fresh acidity and fine-grained, pleasantly bitter tannins make it an approachable introduction to German Pinot with a gentle price tag. Drink now through 2020.